participants when navigating though the grey areas and complex issues. 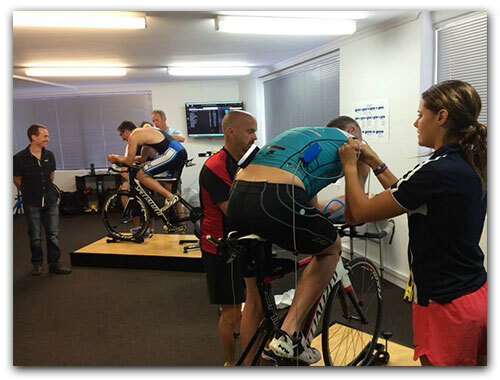 There are only a handful of Retül University teachers in the world and Bike Fit Brisbane happens to have four of them – Nick Formosa, Aaron Lean, Helen Stark and Mark Watts. Together they teach other bike fitters from all over Australia and Asia the latest tools and technology when it comes to bike fitting. The Retül University courses are carried out using the organisation’s protocols and it has a hands-on structure. Participants must be Retül members who have been approved by the organisation to become a Retül Certified Fitter. What’s involved in completing a Retül University bike fitting course? Not only are you learning from the best, but you are learning a proven system of proper bike fitting. Participants in this course are selected through a stringent application process to qualify for placement. Conducting rider interviews so you can understand their goals and what they want to achieve. Pre-fit physical assessment and how to thoroughly conduct one. Identification of the anatomical landmarks used in Retül protocol and proper marking of those points. How to use Retül fit data to aid in bike fitting for road, mountain, cyclocross and TT/triathlon positions. Data capture, data presentation and report building on the Retül hardware and software. Proper use of the Retül Zin to record rider fit co-ordinates on a bike and Retül Müve fit bike. Bike recommendations for new bike purchase while riders are being fitted. Those who complete the course will receive certification valid for a year and must complete an annual Fit Review to maintain their qualification. To register and for essential course information visit Retül University.